New regulations published last week cover everything from what to call UV tanning lamps to the federal government’s National Sheep Industry Improvement Center. Last week, 75 new final regulations were published in the Federal Register. There were 62 new final rules the previous week. That’s the equivalent of a new regulation every 2 hours and 15 minutes. So far in 2014, 1,427 final regulations have been published in the Federal Register. At that pace, there will be a total of 3,273 new regulations this year. This would be the lowest total in decades; this will likely change as the year goes on. Last week, 1,652 new pages were added to the Federal Register. Currently at 32,819 pages, the 2014 Federal Register is on pace for 75,273 pages, which would be the lowest total since 2009. Rules are called “economically significant” if they have costs of $100 million or more in a given year. 19 such rules have been published so far this year, one of them in the past week. The total estimated compliance costs of 2014’s economically significant regulations currently ranges from $2.33 billion to $2.72 billion. They also affect several billion dollars of government spending. 118 final rules meeting the broader definition of “significant” have been published so far this year. So far in 2014, 273 new rules affect small businesses; 41 of them are classified as significant. This week’s economically significant rule is from the Energy Department. Its new energy efficiency standards for walk-in freezers and coolers will cost an estimated $511 to $528 million per year. The California tiger salamander is an endangered species that was given designated critical habitat in Sonoma County, California in 2011. A correction to that designation was issued on Friday. You are now allowed to import female squash flowers from Israel. The Federal Trade Commission updated its regulations under the Wool Products Labeling Act of 1939. HHS is withdrawing a regulation regarding the use of its official logo. 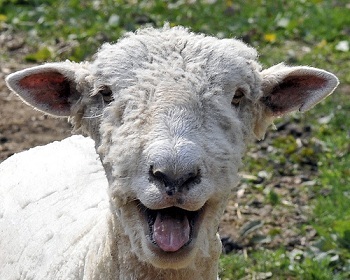 The federal government has a National Sheep Industry Improvement Center. A new rule amends some of its policies. Webber’s ivesia, a plant species in California and Nevada, is now a threatened species. It is receiving 2,170 acres of critical habitat. UV lamps used for tanning are now henceforth to be known as sunlamp products, according to the FDA. Five species of sturgeon added to the endangered species list.